Low Rates on all international calls. Get $1 free to try our international calling service. 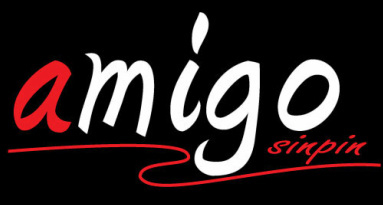 Amigo Sinpin™ is provided by one of the biggest and well known companies in the telecommunication industry, Veritas Prepaid. Our quality to Latin America, specially to Mexico and Central America Countries is A+. 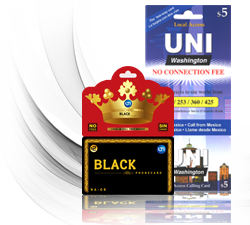 Prepaid Calling Card allow you to make domestic and international calls from any place in the United States with extremely competitive lower rates. We offer extremely competitive rates compared to other companies' products. 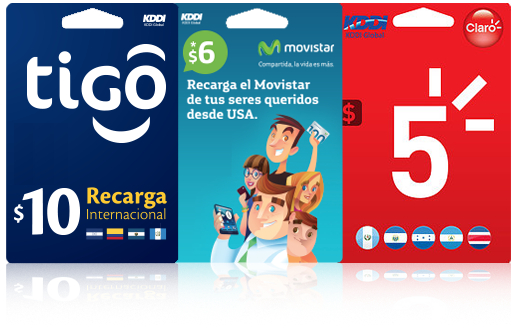 Recharge pre-paid mobile phones of family and friends around the world from your telephone in the United States! Receive double and triple the value of the top up card purchased when carriers are offering promotions.